Usually my Wonderful Wednesday share is something I've seen or read that has touched me. This week I'm breaking this tradition to share something I've not seen yet. Last night was the first episode of 'The A Word' on BBC1. I've seen lots of positive comments on social media but as I was working last night, I haven't had the chance to see it myself. Of course not all the positive comments are about positive feelings. For some it has brought back feelings of loss and others have found they relate well to the all too familiar sad situations it portrays. So if I haven't seen it, why am I sharing it? 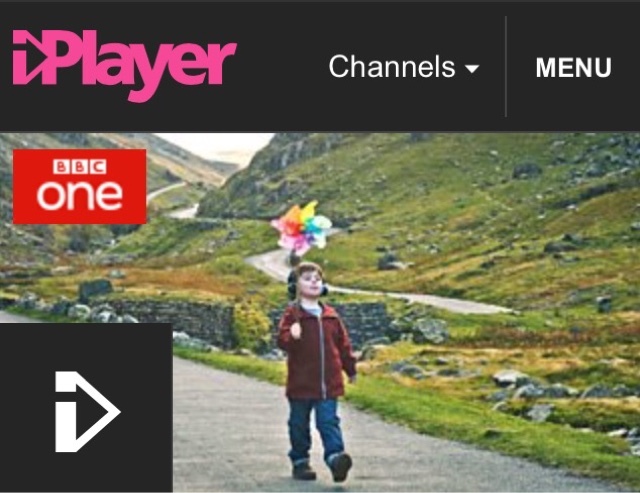 It's a BBC1 drama and its sharing an experience of autism. I've always said that if you know one person with autism then you know just one person with autism. Everyone is different and so is everyone with autism. My son's are hugely different to each other and to those we know who have also been diagnosed with ASD. I was never expecting The A Word to 'get it all right'. But it is spreading autism awareness to a mass audience and shows what it could be like. And that's worth promoting. If you've seen it, let me know your thoughts. 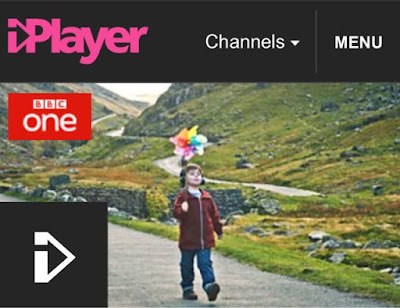 If not, catch up with me via iPlayer. This morning started off like any other. In fact it was going quite well, everyone had was dressed, had breakfast and we're ready to go nearly five minutes early. As we all got into the car to go to school I smiled as the car clock revealed we were ahead of schedule. 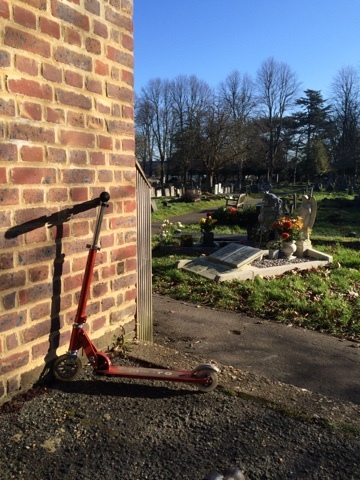 But it was not to be in any part of the school run. As we approached the bottom of the road we entered a stream of near stationary traffic. Sometimes there is a bit of a queue up to the round about junction which is about another 100m down the road but today's was unpresidented. 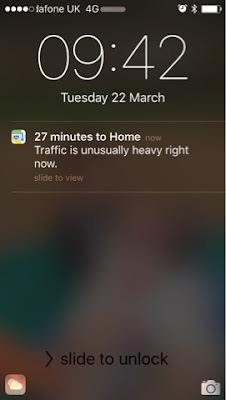 It took over 10 minutes to travel 100m. Parents who were able to walk to their school strolled passed us at a leisurely pace. Anthony was sat in the front and I began to explain to him that there was a problem with the traffic and we would be late getting to school. We are rarely late but sometimes if we are it's better to drop the children at their respective schools in a different order. Today was going to be one of those days. Anyhony and his younger sister Jane are able to understand this. David is not. As we pulled up near Anthony's school, David was deep in the iPad and seems ok as I carried him and walked with Anthony and Jane to the school reception. Anthony was only 3 minutes late so we'd actually done well given the traffic. However, as we entered reception, David recognised where we were and began to shout and scream. He wanted to get down. We had once had to take David to a meeting at Anthony's school. While he was there he played with a train set. That's what he remembered about here and that's what he was after. Anthony was taken through to his class and Jane and I walked back to the car holding a licking and screaming David. He calmed down once back in the car but when I dropped him at his school he didn't go in as his happy usual self and insisted on hanging around in the playground with one of the assistants. It's sometimes easy to forget when things are going ok that these small changes that are so easily absorbed by some of us are a difficulty for others. David has probably now got over his change to his day but it's hard to know just what affect it will have had on his mood and what that might mean for his learning. It's impossible to tell when things won't go as you plan and there really is only so much extra time you can allow for things being different. Hopefully as David's understanding approves he will be able to. Impressed when change is happening and that will give him some time to adjust. Exposure seems to be the way forward. After all, Anthony used to really struggle and now he takes it in his stride ... sometimes. It was over something as simple as copying a sum from a screen onto a piece of paper. Anthony was converting a picture sum into a column addition. He was doing the sums very well but after a short time started to struggle. 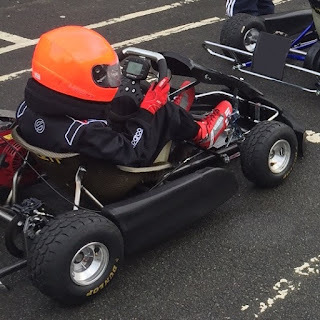 His poor motor skills meant he wasn't always lining the numbers up correctly and he started to forget what he needed to do to work the sum out. "Ohhh mum, my brain and fingers are being very naughty," he said. A few sums later and he was becoming annoyed and upset by his own inabilities. "Kill me," he screamed. "Please, kill me, then make me again with a brain that works properly." I felt my heart thump in my chest, like a booming base drum. Where was the next beat...?. The world suddenly seemed in slow motion. I felt my eyes widen and glisten as my stomach shivered. Then I couldn't tell where my failing heart ended and my stomach started. Oh son. On the outside I held it together, inside I was a mess. You see, Anthony's brain works differently as part of his autism. He processes everything differently. Sometimes this makes things more challenging and sometimes he sees things in a wonderful way that no one else does. Anthony has also been diagnosed with ADHD. This is an added complication. Not only does his mind work differently, but then he also loses focus, making some tasks even more challenging. Anthony knows he can copy sums. He knows he can work out the answers. 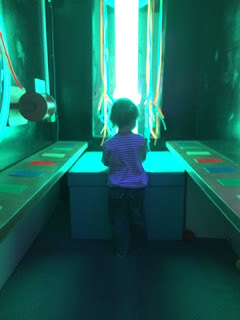 He's learned to overcome difficulties with sensory input and seeing things differently.... and then his mind fails him again with concentration. 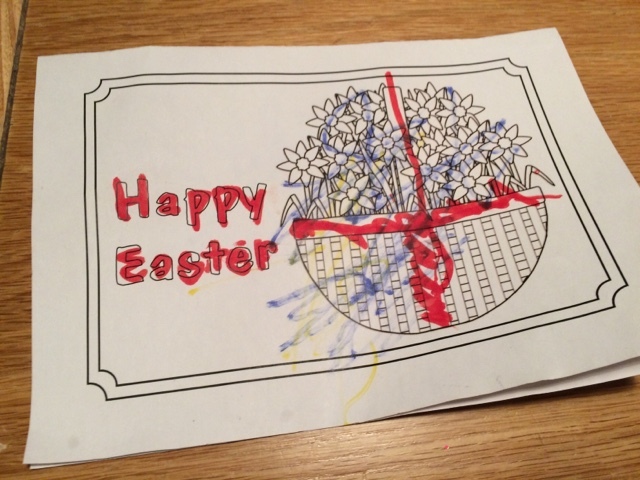 Please, give my kid a break, I thought. Of course I hugged him, helped him focus and worked him through the sum. I said he had done his sums very well and he could finish. No more homework for him tonight. I was relieved, to say the least, when he told me he didn't want to die. That he was just frustrated and being a literal thinker he was pretty sure the only way to get a new brain was to die first, and he didn't want that. Perhaps I'll talk to him about neurosurgery later...much later. We've always been in agreement that Anthony should know about his autism, ADHD etc when it seems right. And we are now on the edge of labelling Anthony's conditions for him. He knows he has hypermobility. When the physiotherapist gave him exercises to do it made sense to tell him. He says his knees are being silly. Perhaps it's no surprise that he thinks his brain is malfunctioning and being 'naughty'. He has commented before that his brain is not doing as he asks. I know we'll highlight all the good things about him. It's not going to be a brand new thing, we've been drip feeding him the idea for a while. But I'm still extremely nervous. I feel that thump... thump in my chest again just thinking about it. Anthony's unexpected outburst means it's time for us to do what we've been expecting. However he reacts, we'll be there to support him. 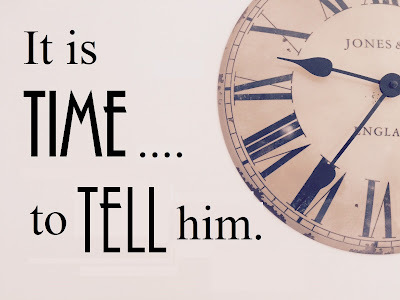 But it is time to tell him. It's time he had the opportunity to understand himself. If you have stories about telling someone you love about a condition they have..please feel free to share your link. Email me if you don't wish to use the comments box and I'll add your link for you. My Wonderful Wednesday share this week is from 'Random Thoughts from a Random Woman' called 'The one with the A word' about receiving an autism diagnosis for her son. It's a common thing to post about, but I'm sharing it for two reasons. Firstly, it caught my attention because it's less than a week until BBC's 'The A Word' comes out. We have known both our boys are autistic since before they were four years old but it won't be long until at least one of them is also aware of the A word too. Secondly, and more importantly, there's nothing like this on my blog. I started blogging quite a few years after our kids diagnoses. I'd come to terms with their condition and most of my blogging is about overcoming challenges, things that help and heart felt achievements. This post from 'Random Thoughts from a Random Woman' gives a lovely example of what that first period after an autism diagnosis can be like. Every parent and person feels differently about the diagnosis. Some parents and people may have fought for a diagnosis, waiting months in some cases. Others are scared of it. Either way, being nervous about it all is completely normal. We have found having a diagnosis for our kids is very beneficial. We've been better able to access services for example. Our boys aren't any different because of the diagnosis. Indeed, most of all it has helped us understand them and soon it may help them understand themselves. Our blog - What is there had been an autism screening? Would I still have had my kids? Some kids with autism can be sensitive to wet textures or not like mixing dry and wet textures together but still enjoy being creative. We had great fun with this craft activity at a local group, Me Too & Co, which supports children with additional needs and their siblings. If your child has emerging fine motor skills then this is a great activity. 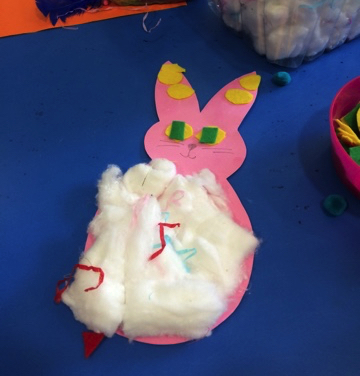 Kids will need to use and develop their pincer grip in order to pick up bits of felt and the little pom poms. If this is challenging, don't worry they can have an easier time with the feathers and tissue string. Pulling the cotton wool pleats apart will encourage bilateral motor skills (using both hands together to achieve an outcome). By placing the bowls of bits around the child you will also encourage them to cross their mid-line when they reach over to grab items. Using a glue stick may encourage a classic pencil grip but even if not it will still encourage pre-writing movements while you cover the rabbit with sticky glue. 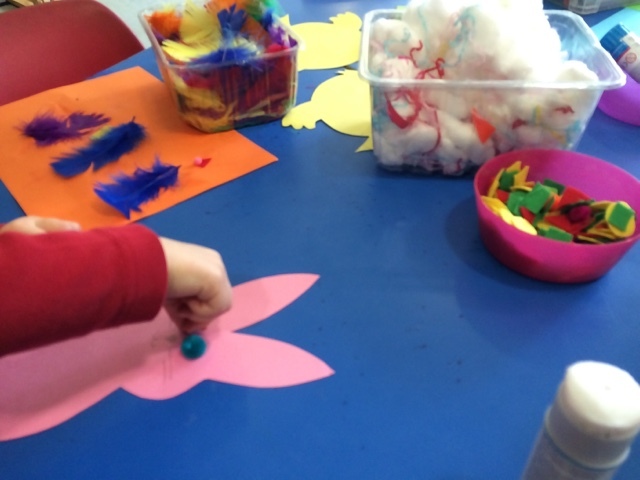 Different shapes of felt and the different colours of items give you and opportunity to label shapes and colours. It's also a good opportunity to label textures such as soft cotton wool, crinkly tissue paper or fluffy feathers. You can also label using makaton, have a look at the Makaton #wetalkmakaton sign of week for helpful ideas. Jane had a great time at Me Too & Co and I loved her finished rabbit. Our blog - Gale winds and low sun: Is this what it is like for my autistic sons? Last week's most popular post was also published in The Mighty. The memories of my autistic kids can sometimes seem incredible and other times seem impossible. "I can't find my shoes, where are they, where are they?" screams Anthony as he races through the house. Anthony needs to be reminded to put his shoes in the hall when he takes them off. He can never remember where else they might be and has huge difficulty actually seeing them even when in plain sight. It's like directing a blind folded person to an object on the floor sometimes. 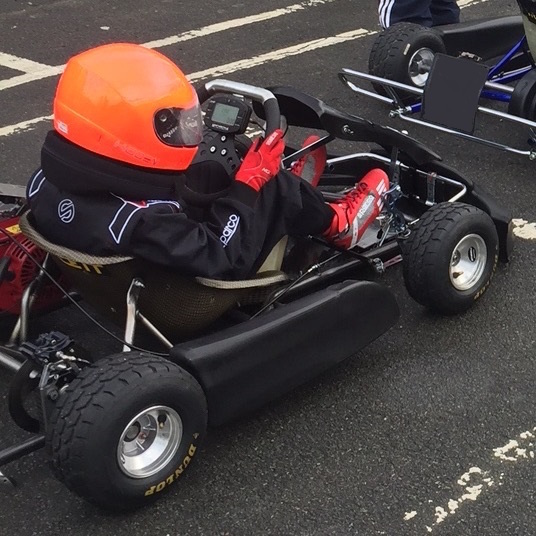 This post has been updated - click here to read more. #WonderfulWednesday: Was I right to tell off someone else's child? Admittedly this is usually one of the titles I would click on with a sense of dread. Having two boys on the autistic spectrum with a variety of other issues, and then a toddler in tow, I'm often aware that other people may be judging me or my kids. But this post didn't arrest me, it reassured me. This lovely post at Cardiff Mummy Says retells an incident we are all familiar with: A child shoving others at a playgym. I'm familiar with it from both sides. Sometimes the stares stop when the Mums see I'm using Makaton sign language. Sometimes I get the 'what are you doing bringing a child with special needs to a public place' look. That look breaks my heart every time by the way. Instead when a child was acting up this wonderful mum considers all the options for their behaviour and the lack of parental presence. In the end she nicely talks to the 'misbehaving child' and moves to another part of the playgym when the shoving continues. This gives me hope because alternative reasons for acting out has been considered and she doesn't 'blame' the child at all. Indeed Cardiff Mummy is concerned she has gone too far. Thank you Cardiff Mummy for your thought and care. Honestly, I wish more were like you. See more from Cardiff Mummy Says here. 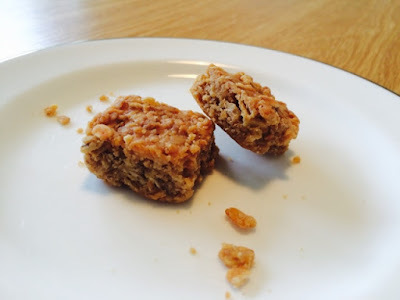 This recipe from Jane's latest trip to Cookie Tots club can easily be adapted for either the sensory seekers or sensory adverse whilst providing a great healthy, sweet delicious pudding or snack. Anthony has autism and ADHD and is a big sensory seeker desperate to get in and hardly notices if his hands are a mess. If your kids are sensory seekers, then get stuck in. 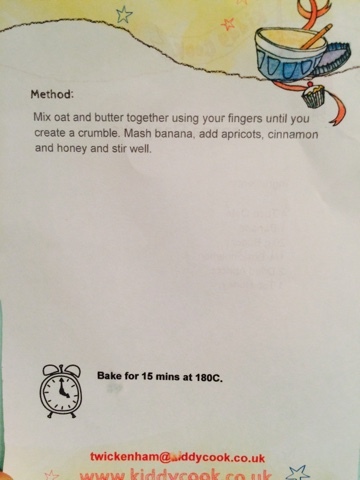 Allow your little one to mush together the banana and rest of the ingredients my hand. It'll make a lovely mess on their hands but then they can have the joy of washing them really well too. Washing sticky messy hands will also help develop a good pincer grip to pick off all the sticky bits. David is also autistic but doesn't like mess on his hands at all. He will reach for a towel or cloth to clean his hands or clothes if they get food on them. For the sensory adverse, make the flapjack mixture in a large bowl. Provide melted butter to make stirring in the bowl easy and then mash the banana with a fork on a board before adding to the mixture. As for the recipe, our Kiddy Cook instructor suggested a teaspoon of poppy seeds as an extra and we didn't use the honey or apricots pieces as the flapjack was plenty sweet with the banana. Once cooked it was sweet and very soft - like a flapjacky banana bread. 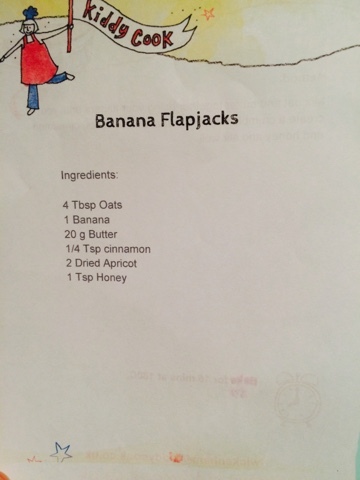 Our kids are big flapjack fans and this was a complete hit with them. It smacked me on the face when I was listening to Radio 5 Live on Monday. I was listening to a mother who is desperate to be part of the team that looks after her son with learning disabilities. Despite her borough doing everything it can, there is a shortage of facilities and services so her son is miles away in a care facility. A facility that she has since discovered has abused him. As I'm listening I feel my body temperature rise and it's as if my palms have been instantly covered in sweat. Please, don't let this be the future for my son. Read the rest of this story on the original post. On 'Favourite Fridays', Rainbowsaretoobeautiful publishes its most popular post from the previous week. If you missed it, then here's your chance to catch up. I am a mother to three beautiful children; two of them have an assortment of additional or 'special' needs. I sometimes feel like I'm treated differently because of this. 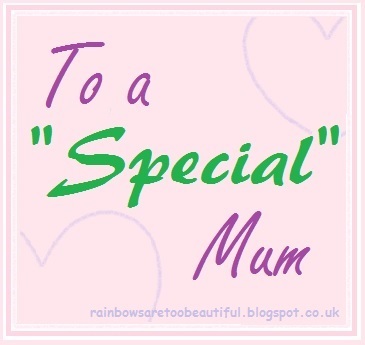 Some people think I'm special in some sort of supermum type way with the kids, some others think I'm special because I have to 'deal' with a lot because of the kids. I hear "I don't know how you do it," quite a bit. 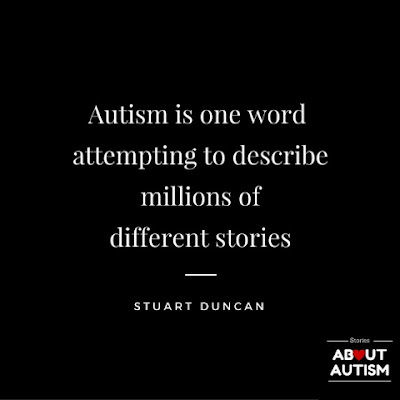 This week's #WonderfulWednesday share is a quote from Stuart Duncan (founder of www.autcraft.com) that I saw via Stories About Autism. I also love that it says 'stories'. I love stories, happy ones are my favourites and maybe that's why I read this as an almost joyful quote, though that won't be the same for everyone. My boys stories often make me smile. I grinned at David's interaction in the playground and could barely hold back tears of joy when Anthony participated in a swimming gala. It's infact usually my own fears that cause me occasional sadness and that's usually about stories that haven't been made yet. Each child's story is different and the same goes for those on the autistic spectrum.